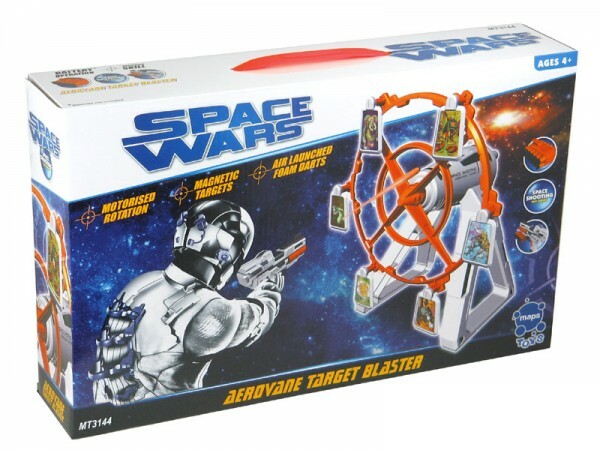 Space Wars Aerovane Target Blaster - spacekids - space toys, dressing up costumes, kids spacesuits, astronaut food, cool space stuff! The Space Wars Aerovane Target Blaster is brilliant for sharp shooters. The hand-held chunky space-inspired blaster features foam darts which can be fired at the spinning motorised Aerovane Target. 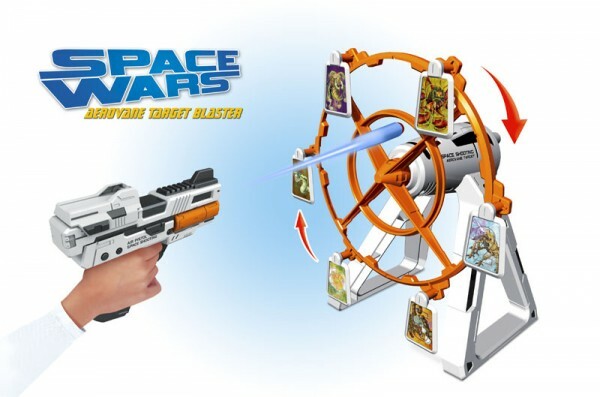 Use precision shooting skills to target an array of alien targets and see who is the Space Wars Champion. Each target is magnetic so you can count how many aliens each player shoots.